Stats/Setup: I checked in at 6'1" and 165 pounds when I rode the Proto CT 160 with Salomon Dialogue Boots (size 9.5) and Union Force SL bindings at Mt. Hood Meadows, Oregon. The Ride: Right off the chair, it was evident this board was doing things right. Edge-to-edge it was almost telepathic. It had a 'spidey sense' of when and where you wanted to turn next. Not only could it get back and forth on short- and medium-radius turns, the Vario Power Grip sidecut had it holding on to even the high-speed, long-arcing, laid-out eurocarves. Not generally a park board's domain. It shone in the mandatory, trenched-out, banked-slalom tree run. That's a carbonium topsheet, ladies and gents. The Proto CT features NS's patented Rocker & Camber Technology: camber under each foot, rocker at the waist. It pops as hard as any board of this hybrid camber style while holding that edge and not washing or rotating like some full rocker or flat boards. It's similar to Lib Tech's C2 Banana Traction. As with all Never Summer boards, the Proto CT has a long running length. This provides a stable base for landings and high speed action. It charges hard for a park board. However, this tends to diminish performance in the powder. A shorter nose leads to more nose dives in the light stuff. While I didn't test this board in pow, it's something you'll want to keep in mind. 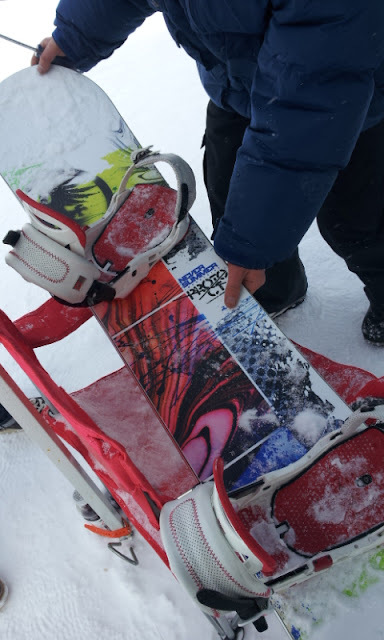 It's not a dedicated pow board, so you'll be leaning back unless you size up. And I ride a similar Never Summer SL-R every day. Bottom Line: The Proto CT is quick, poppy and burly. It's also a true twin. It's a park board and then some. All-mountain freestyle boards are big right now and the Proto CT is at the front of the pack. 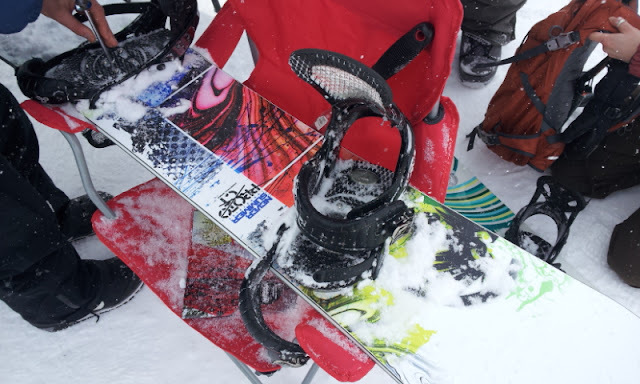 Oh yeah, it also won Snowboarder Magazine's Alpine Lab Golden Seal of Approval and Outside Magazine's Gear of the Year, so I'm not the only one who likes it. Now what the hell is carbonium anyway!? Carbonuim candy for the Bulbous bouffant! Graham, Carbonium is a textured, lighter, more scratch resistant topsheet material......we originally used it on our splitboard topsheets for the scratch and chip resistance, and then put it in the Carbonium series. It's texture somewhat resembles a carbon fiber matrix thus the name. Hope you are well.....come visit, gosh darn it! Everyone, meet Mike Gagliardi, Snow Sales Manager down at Never Summer. Thanks Gags. Can you compare Proto and SL? Which of this two do you like more? The SL and Proto are certainly similar. The SL is a little more damp, which is why I would give it the slight nod over the Proto CT. If I rode exclusively in Utah or more park, I'd go with the Proto CT, but around here the snow gets rough and that extra dampness comes in handy. I'd also like to try that new Never Summer Cobra. Maybe next demo.